• I had SUCH HIGH HOPES, but they were mostly shatterd. 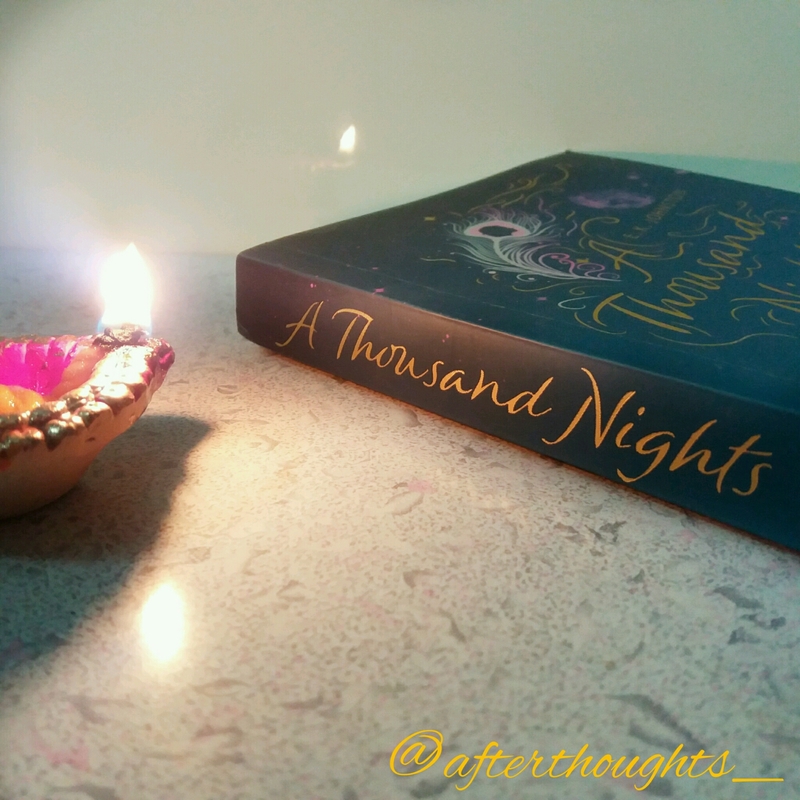 • First of all, I don’t generally like to compare books, but the first 100 pages of A Thousand Nights felt like they were directly copy-pasted from The Wrath And The Dawn. Which I was fine with, because I LOVE that duology. • The ending is so rushed, I had no clue how and what just happened. It just wasn’t worth the read. • It’s very fast paced, you won’t be able to put it down. • The writing style is fresh and captivating. • The portrayal of the desert and the desert life is beautiful. If you haven’t read The Wrath And The Dawn, then perhaps you might like A Thousand Nights. It’s a short book, so it’s not even going to take up a lot of your time. So give it a go, if you have been meaning to read it.